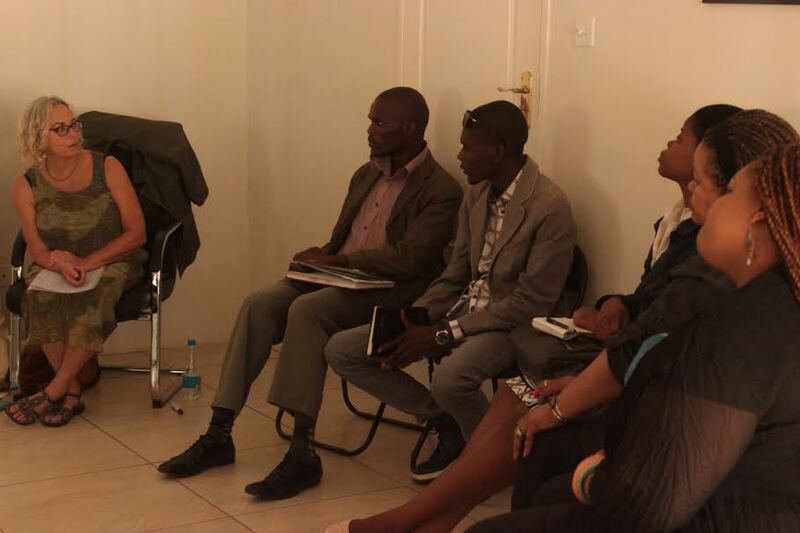 In September I had the opportunity to introduce Nonviolent Communication (NVC) to Botswana. I offered NVC to a grassroots organization of Botswanans who have served time in prison, (BIRRO,) to staff and clients at a shelter for women who have fled domestic violence (Kagisano), at schools, parenting groups and to doctors, counselors and nurses working with children, teens and their families at Baylor pediatric HIV/AIDS clinic. I am amazed, gratified and inspired by the eagerness of people working and living in the front lines of the AIDS/HIV epidemic to learn and practice new ways of creating connection and transformation to the suffering in our world. In Botswana this week, I met with a group of men and women who have founded BIRRO. (Botswana Institute for Rehabilitation and Reintegration of Offenders.) Most or all of them have served time in prison and are now dedicating themselves, without any funding, to helping other young people stay out of prison. 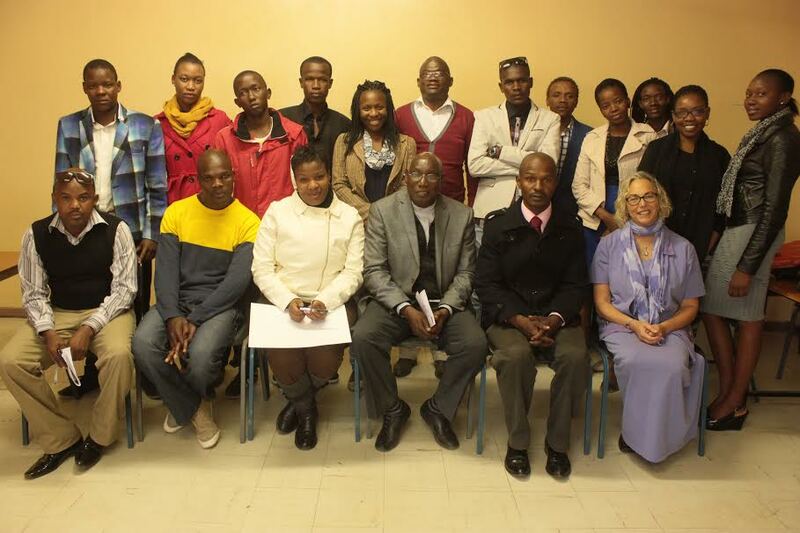 The group of 20 people, mostly in their 20s , with a few older people, mostly unemployed , all post-prison, assembled at the Bible Institute to explore how Nonviolent Communication can support them in their own journeys, as well as in their collective mission to go into villages and communities throughout Botswana to help young people find self -value and lifestyles that will keep them out of prison. We were joined by some of the staff of Careena Health Centre and two of the pastors of the church that offered the meeting space. We opened with a go around in which I invited participants to share something about themselves that no one else there knew. I suggested this so that we could overcome the separation of some people knowing only each other and not others. I also wanted to share some of the facilitation practices I have enjoyed in the NVC community, in case these would be of service to them in their advocacy work. As we went around in the room, a theme clearly arose— many people shared about their struggles to overcome drugs and alcohol. One man shared how hard it was for him to move on from drugs, and how much he wanted to so that he could live with greater purpose and focus in his life. He asked some of the others who spoke how they had moved on from the drug use. After the go around, I asked if people wanted to continue sharing about this. Another man jumped in and told of how he had been surrounded by drug use in prison and that, despite his strong intentions to quit using drugs, he found that sitting in a row of men smoking in the prison yard was the main place he found friendship, relaxation and trust. We shared how using drugs is an attempt to meet the needs he spoke of, and how much people wanted to meet these needs in prison. and of how much they all wanted to find ways to meet these needs that didn’t cost them their health and focus and direction in life. And, especially their self-acceptance and self-value. As this was a group of people who were working together and had just finished a “training boot camp” on drug and substance abuse, I assumed that they had had sharing circles like this. However we quickly heard from participants that they had not shared with each other about their own struggles and difficulties with drugs— and that they very much wanted to. As the sharing circle continued, from time to time I suggested different listening practices that might support them in meeting their needs for connection, learning and freedom. I connected these practices to the NVC principle of learning to take full responsibility for creating the quality of connection that you are wanting, and for meeting your needs, (such as learning and freedom). For example, one man shared at length about his struggle to free himself from drugs while in prison, and how hard it was because sharing a joint with people in prison was one of the main ways he and others found connection with each other and relaxation. When he finished, I asked him if he wanted to hear back any reflection from anyone in the room, either what they heard him say, or how they were touched by what he shared. I suggested that asking such a question after a deep sharing may combat the loneliness that we often feel after we share so intimately in a group, and might help create a deeper atmosphere of connection and trust. He did that, asking if anyone would share back what they heard him say. As people did that, a flow opened up between people, and they said that their own thoughts were clarified and they felt happy and empowered to hear that they were being listened to; that hearing someone ask what else was in their heart to share helped give them greater self-understanding. Several people said that they were coming to understand things about themselves that they had never understood before, such as the link between using drugs and wanting friendship and connection with others. We added other practices, such as the speaker asking a particular person in the group if they would be willing to share what was touched in them by the speaker’s words. I sensed that people were asking for reflection back from fellow group members with whom they wanted a particular connection, perhaps people who were partnering with each other in their journeys out of drugs and into greater freedom in their life. Two or three times, we asked the pastors if we could extend the time. One of the pastors said that he himself was a drug and alcohol counselor (this was how the group had connected with this site for the workshop), and that he was having trouble connecting with the younger people who were coming to him for counseling. He asked the group if they thought it would be more effective for younger people to be counseling. The young people said yes, for sure, and shared how they had been experiencing other young people in the villages opening up to them, telling them they knew they were understood. We ended up extending the session for an hour and a half beyond the original time. And then we invited the group to join a workshop next week with NGOs. We are very excited to connect this grassroots groups with the main NGO in Botswana that’s working on substance abuse issues. The invitation to join the NGO training was a strategy that emerged from the brainstorming session toward the end of the workshop. We applied principles of NVC to strategizing how BIRRO could move forward as an organization in the ways they wanted to move forward. How do we apply NVC to organizational decision-making and direction? We used the distinction between needs and strategies to meet needs to develop creativity and collective brainstorming around how to garner more resources to support the organization and its work. Previously, they had been stymied by the task of raising money. We talked about how money is just one strategy for support and effectiveness . There are many others. We looked at what some of their current assets are—most notably, the 20 people in the room who were already committed to working together as a grassroots organization and to going out and speaking to young people about staying out of prison. We celebrated the assets of this dedicated group of people, and saw that, in fact, they already were doing exactly what they wanted to do, without any money. From that place of connection to the fullness of their need for abundance and support, we did come up with several new strategies for them to raise money, including connecting them with other NGOs and creating an Internet fundraising drive. In fact, in that very room were all the resources needed to create an Internet fundraising drive, including a young man from a political media group who is already making a video about this group. Now that video will form the basis for the crowdfunding campaign! Stay tuned for the link to the crowdfunding campaign which I told him I would happily post on my website and blog! So proud of you dear friend! What an amazing contribution you are giving the World! Next Next post: How About Global Teen Empowerment Institutes?